Alternating current (AC) gets its name from the fact that the electronic particles within the current regularly fluctuate polarity from positive to negative. 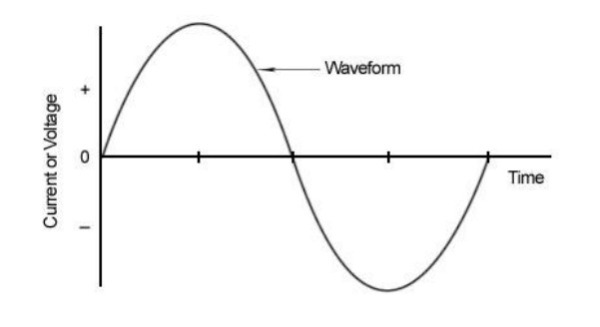 This gives the flow of electricity the appearance of a sine wave (see below). 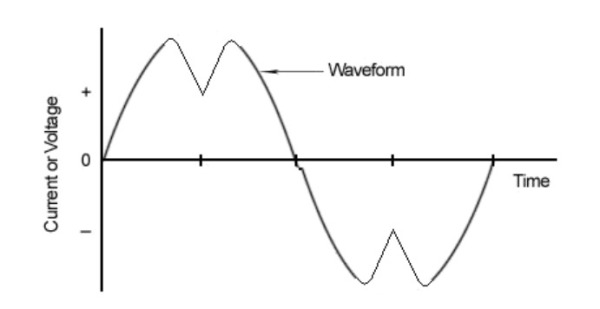 In ideal conditions, the sine wave alternates between positive and negative consistently over a specific time period. However, a variety of factors can cause small distortions or irregularities, which show themselves as spikes and dents (see below). In the most basic terms, total harmonic distortion is the average percentage of how much an electrical current’s sine wave differs from what it would be under ideal conditions. So in essence, the lower the THD, the more consistent and clean the power supply. What Does This Mean to Your Power Equipment? Power sources with higher harmonic distortion overheat, short out and damage the internal electrical components of power equipment. According to IEEE Standard 519, Recommended Practices and Requirements for Harmonic Control in Electrical Power Systems, when a power source has higher levels of harmonic distortion the result is subtle malfunctions in the equipment that in some cases may have serious consequences. Experience minor malfunctions that affect performance, such as inconsistent heat output from an automatic welder. Shut down to protect itself against large spikes, resulting in brief work stoppage and possible delays. Break down sooner than it would otherwise, causing avoidable downtime and costly repairs. Ultimately, the quality of your work will be impacted, and repeatedly poor power will cost you hundreds or thousands of dollars in repairs and replacement parts. When shopping for a commercial portable generator, most manufacturers will list the THD on the product specification table or on a label. The IEEE Standard 519 recommends that computers and allied equipment, such as programmable controllers, use an AC power source with no more than 5% harmonic voltage distortion, with no single harmonic being more than 3%. By making the investment in a clean, consistent power generator today, you will end up saving yourself time and money down the road. Made in the U.S.A., Hy-Tech’s Roof Pro Family of Portable Generators are the first generators designed by roofers for the roofing and construction industries. Download the Hy-Tech Roof Pro Portable Generator Brochure to learn more.